If you want to make a break after your visit to the MAS (Museum on the River), you do not need to go far: Storm Cafe is located on the ground floor of this amazing structure. It is the ideal place to relax and enjoy a drink. The outdoor terrace offers a beautiful view of the harbor docks. Sips bar offers the best cok- and mock- tails in Antwerp. The owner Manuel knows about 1,000 cocktails and acts without any cribs. Some recipes date back to 1790. And it is not all: Manuel is constantly developing new cocktails. This club is located in an old factory building, and still has the industrial design. There are a variety of artists and performances, bands and DJs. The focus is on alternative and electro-dance music. 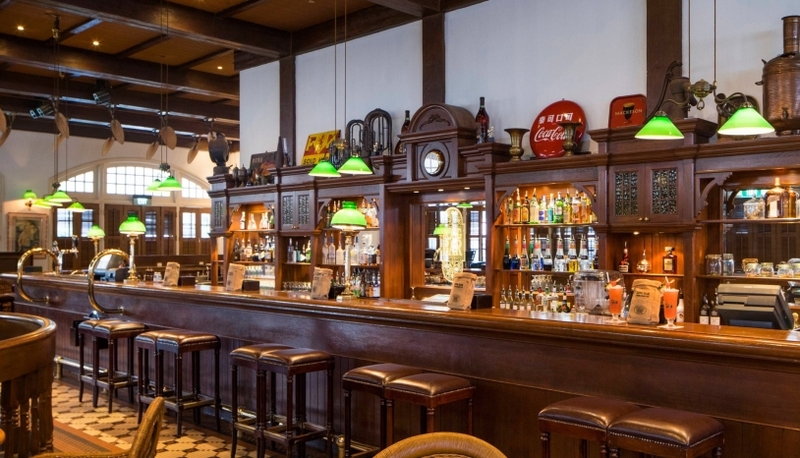 De Vagant offers a wide selection of Belgian Jenever (more than 200 varieties!). The guests are also offered a marvelous view on the beautiful cathedral. Looking for a gay club? The fabulous Red and Blue is the most known gay club in Belgium. The appropriate audience comes here from all over the world. Every first Sunday of the month here waiting for guests at the Studio 54: gay disco with a lot of hits and a colorful dress code. Warning: on Saturdays the entrance is for men only. In this building, which age is more than 200 years, a few steps from the cathedral, you can taste delicious cocktails in a stylish setting. On a warm summer evening you can relax in the inner garden, on a cold night there are places around the fireplace, but they are not always enough. 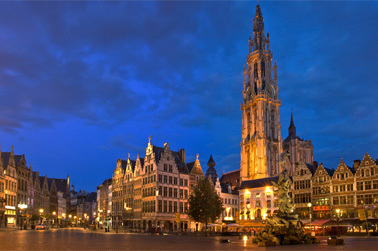 If you are in Antwerp, to try a Belgian beer is a must. Here you can choose from more than 200 types of beer. Following the extensive menu in a few hours you will know why the Belgian beer is the best in the world. Everyone loves this cozy cafe - both students and tourists, and residents of the city.